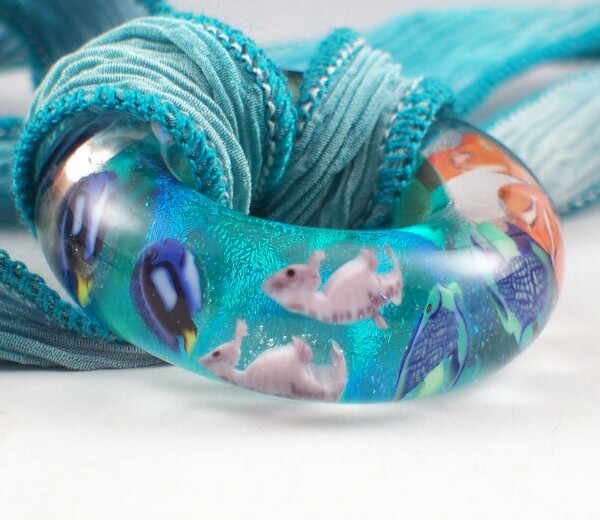 If you’ve been around this blog for a while, you know every spring I go to an event called Bead Camp. It’s actually the home of a very dear friend of mine, Angie Ramey. She organizes the event, books a teacher, sets up demos and we all come for a long weekend of sharing, learning, and most of all laughing. And it’s held right there at her house, complete with a fabulous studio. It is my must-not-miss event every year. There are limited spaces and every year they fill up fast with the original participants, which means it’s usually not open to new attendees because all of us old timers get first shot. So why did I tell you about it here? Because Angie is opening her home to more beadmaking and metal retreats throughout the year. You cannot go wrong with a retreat like this. Angie is by far the most organized person I know. She makes every event go off without a hitch. 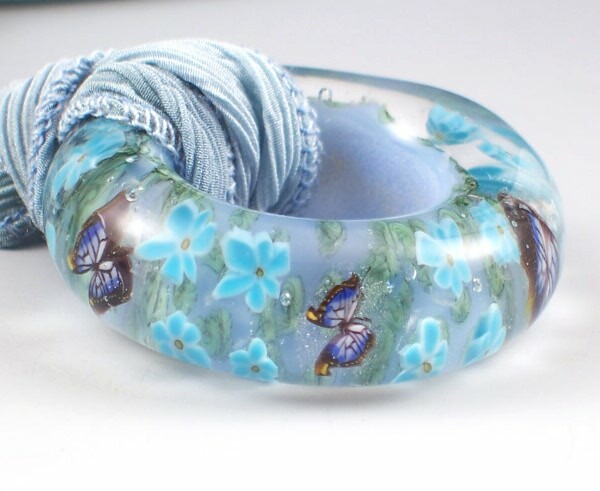 Plus she makes fabulous beads and metal goodies. And she loves to laugh. And as a bonus? Vern–Angie’s mom and business partner–will likely be there. Vern is just awesome. You’re gonna have to go for a retreat to find out. So gather up your girlfriends and get ready for some learning. Trust me, you won’t be disappointed. Last week was our first Livestream murrina demo. 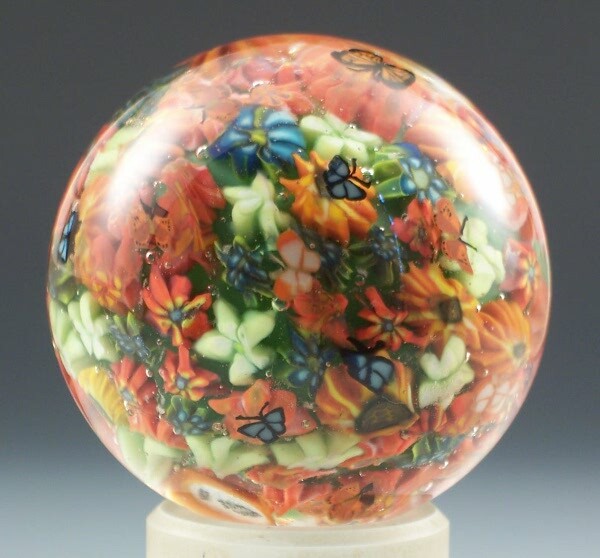 Greg made a butterfly murrina cane and I hosted in the chat area answering questions and/or relaying questions to him to address. 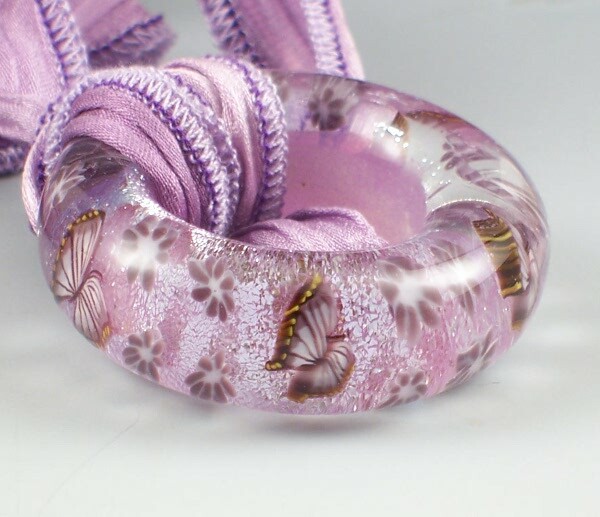 This week I will be making a murrine ring focal and Greg will be hosting chat. Don’t forget 2pm Sunday CST. That’s 12 pm pacific, 1pm mountain, and 3pm eastern. In this demo you’ll get to see how I encase with minimal bubbles and without smearing. Hope to see you there. The chat feature is really cool and mucho fun.